This is a MOC and smack talk in one (sMOC talk?) 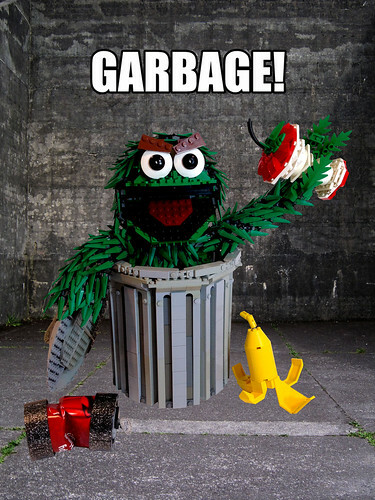 Not to be intimidated, Siercon and Coral fire back with everyone's favorite trash can dweller, Oscar the Grouch. How they attached all those green spikes is beyond me.